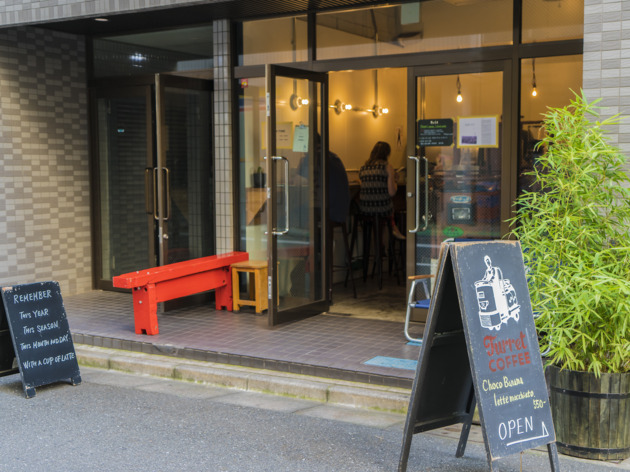 The chalkboard in front of Turret Coffee says ‘Welcome to the best outrageous coffee shop in Japan’. 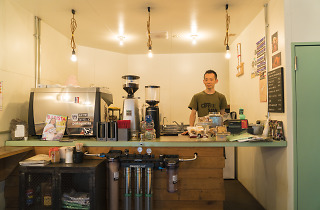 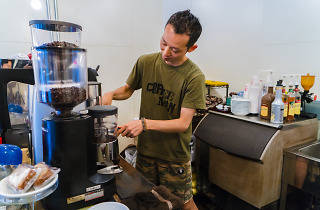 Named for the ‘turret’ mini-trucks that zip around nearby Tsukiji fish market, Turret Coffee and its owner Kiyoshi Kawasaki both pull and pour quality espresso, all in a funky, intimate space. 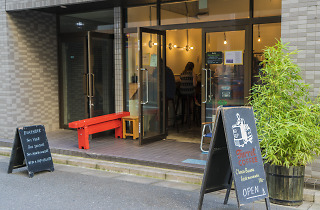 Relax on one of the few ‘real’ seats or sit on the back of an actual turret as you chat with friends, or with Kawasaki himself, while sipping your drink. 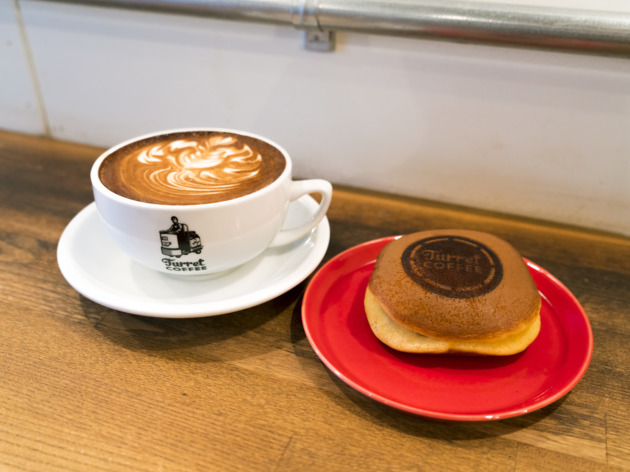 If you need a real pick-me-up get the Turret Latte, which has a double shot of espresso – not to mention some beautiful latte art. 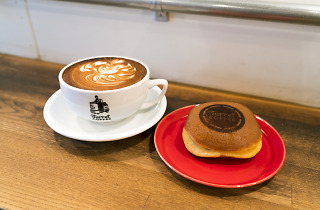 Those with a sweet tooth can try the seasonal offering or snag one of the fluffy, buttery dorayaki (a pancake sandwich filled with red bean paste) made especially for Turret. 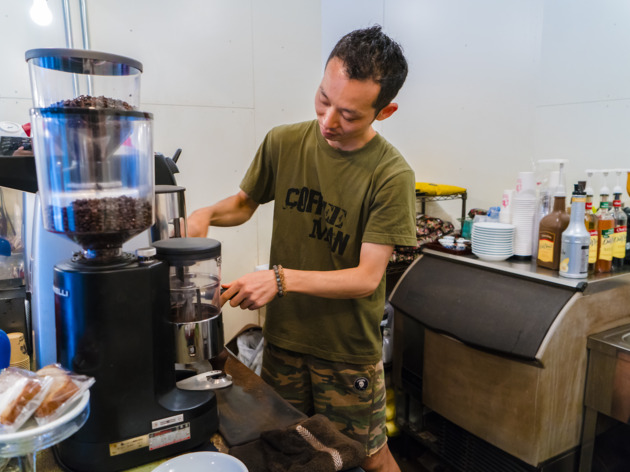 Either way, Kawasaki hopes that when you take your first sip you not only experience an ‘oh!’ of surprise, but also get a sense of the dedication that goes into filling every single cup. 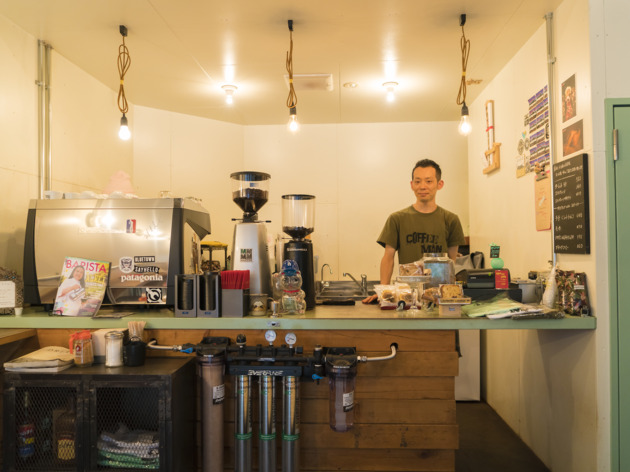 Competent espresso joints may have become more commonplace in Tokyo since Kawasaki first opened in 2013, but this is one spot you should keep on your map for its offbeat but welcoming vibe, strong coffee and top-notch latte art.